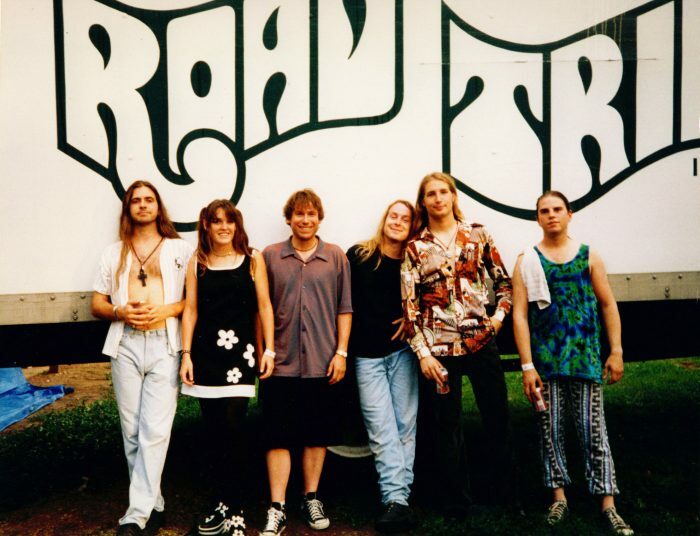 April 1991 the band Road Trip was formed out of Kingston, WI by cousins Richie Plath and DJ Doty along with brothers Irion and Adrian Lambrecht and their bassist Andy Hess. They were joined by a dedicated stage manager, James James from Markesan, WI. Also DJ and Rich’s cousin Terry Fude helped them over the years many times, along with James and Terry came many others from the area, but James and Terry were their main people. Road Trip was incorporated, all of the members owned a share of the band but Adrian and DJ were more of the leaders of the group. None of the members got paid to play, they took the money and put it back into the band. They bought a truck, a sound and light system and a van. They were not in it to make money, they did it because they loved music. Fortunately they had a lot of friends who wanted to help for free and they became the crew. 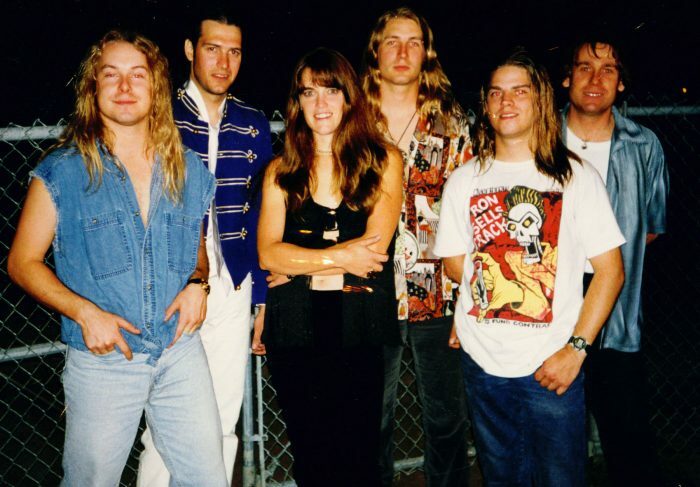 In June of 1993 Amy Jo Doty from Oshkosh, WI joined as the band’s back-up singer along with Chad Klink from Juneau, WI on Keyboard. This new line-up began a whole new journey for RT. They started to get serious about making good music. 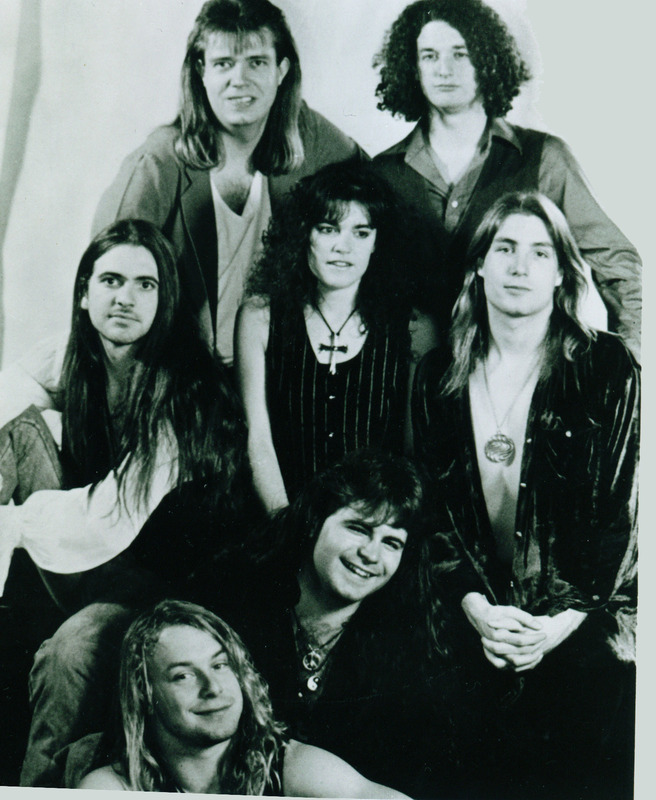 Later that year Irion Lambrecht left the band and they hired Robin St Louis from West Bend, WI on drums. This was the first time RT hired a person and paid them. This change got them moving in a more serious direction. They had written a couple of amazing songs and wanted to get them recorded. 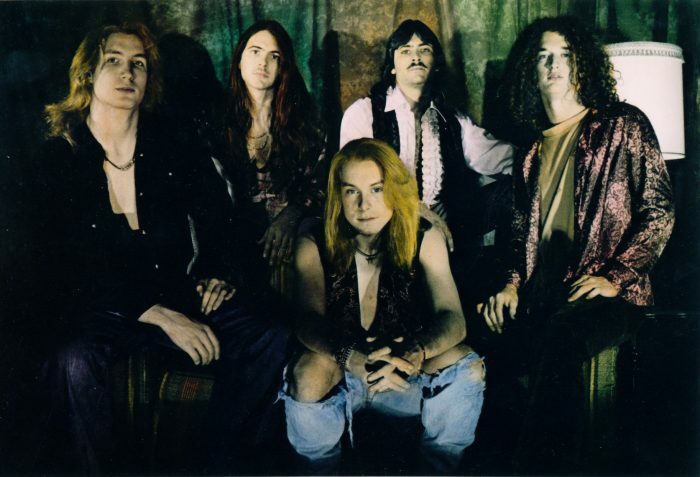 In 1994 the band released their first CD Chameleon Gumbo featuring 5 originals and 5 cover songs. 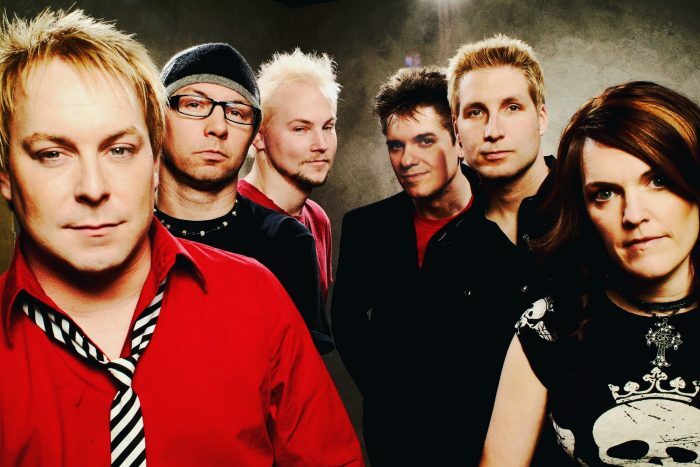 This album included Richie and Amy Jo on vocals, Adrian and DJ on guitars, Chad on keys, Andy Hess on bass and Robin on drums. 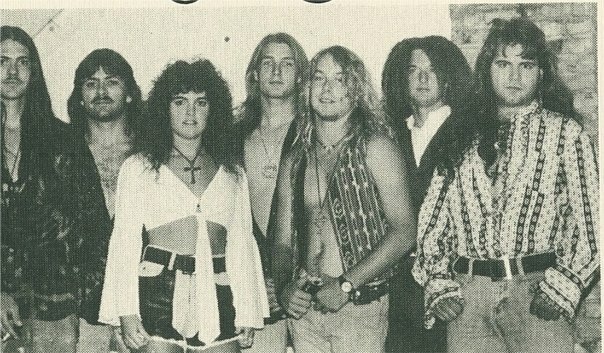 In September of 1994 Robin St. Louis, Andy Hess along with Chad Klink also left the band. Andy was replaced on bass guitar by Tom (Pickle) Baillies from Cambria,WI, Robin was replaced with RT’s 3rd drummer, Kief Shaw from Appleton, WI. Kief was originally their sound man so he was filling in on drums until they could get through auditions for the next full time drummer. Kief ended up becoming a life long friend of the band, his personality was contagious and everyone loved him. The band decided not to replace Chad on keys. 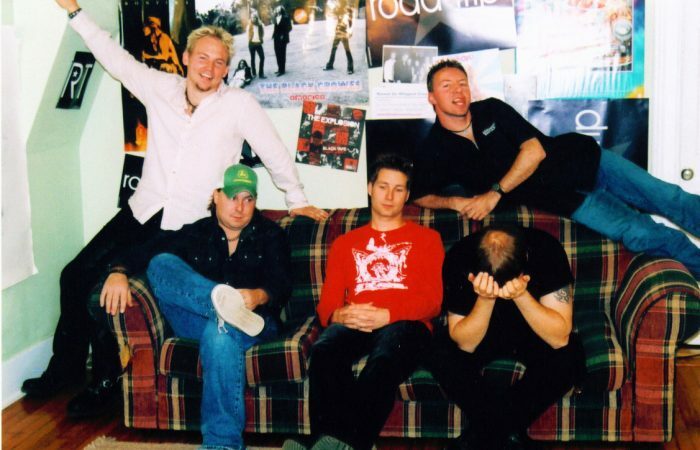 By the end of 1995 they hired drummer #4, Riley Icenogle from Oshkosh, WI and in 1996 the band started getting serious about writing music together. At last Amy was singing lead vocals on about 30% of the songs and working on more. 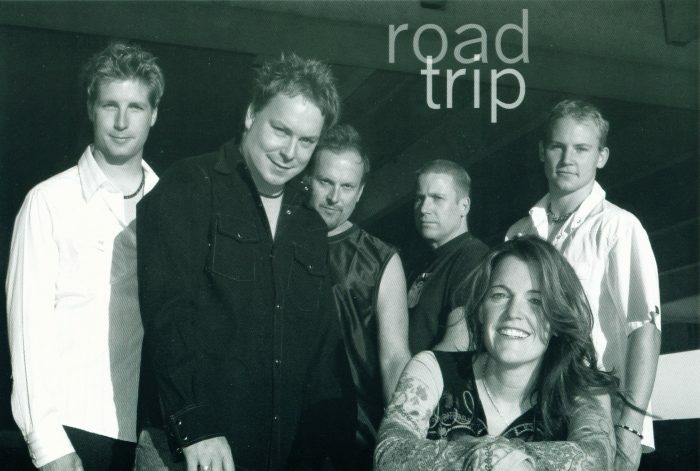 They released their second album called Live at the Route, (because it was recorded “live” at Route 66 in Appleton). This album had original songs featuring Richie, Adrian, Amy and Pickle on lead vocals. As well as, DJ and Adrian on guitar, Pickle on bass guitar and Riley on drums. 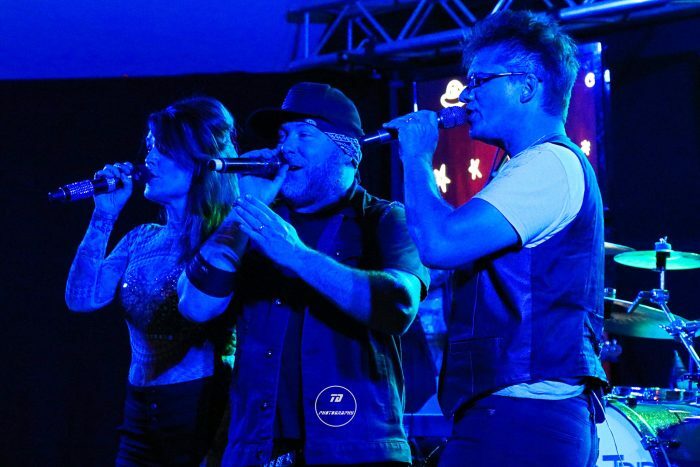 Having so many people in the band wanting to be the lead singer was confusing for everyone, so the band started to get more focused on the future recordings, and some members were questioning if they wanted to stay in the band. 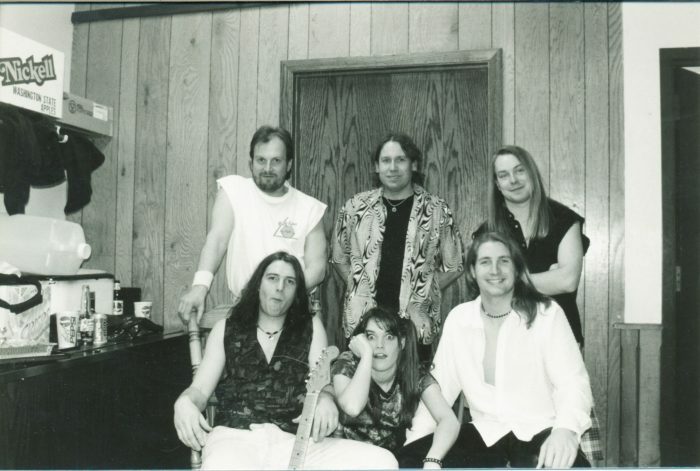 At the end of 1996 Pickle and Riley both retired and Road Trip hired Jason Van Rysin from Appleton, WI on drums as well as David Geschke from Milwaukee, WI on bass. They started with RT in January 1997. Jason was a jazz player so he brought a whole new sound to the band. Dave loved punk rock and more aggressive music so he brought in a new energy the band never felt before. In August of 1997 Adrian felt the itch to do more with his creativity and he soon retired from the band and he was replaced by the infamous Rodney Zimmerman from Appleton, WI. Rod was not only an incredible guitarist, but his vocals were outstanding bringing Road Trip to a new level. RT decided to dissolve the corporation and sell the truck and the gear and hire a sound company to do all of the hard work. Seeing the big truck go was heartbreaking, but finally the band could take a break from double duty. Mel Cole became Road Trip’s first hired sound company and DJ became the leader of the group as far as the business goes. Drummer Jason Van Rysin didn’t stay long; at the end of 1997 he left and the band hired Billy Friday from Oconomowoc, WI in January 1998. Billy became Road Trip’s 6th drummer and he was amazing! He brought a new feel to the group and also had a very positive personality. Billy on drums and Dave on bass became a really solid foundation for the band. Billy was a solid, hard hitting drummer who created a pocket like none other. Rodney stayed with the band about 9 months and soon needed to do his own thing. He was replaced by a young man from Mayville, WI, Matthew Emmer in 1998. At this point RT had the best line up so far and they were on fire. Most of them lived together and worked on original music day and night. They released their 3rd album Cowboys and Maniacs in 1999 that included 11 original songs. This album featured Rich and Amy on vocals, DJ and Matt on guitars, Dave on bass, Billy on drums and Pauli Ryan on percussion, Marc Golde on B3 and Dave Stoler on piano. They won a WAMI award for best album design on Cowboys and Maniacs in 2000. This album received a lot of airplay in Madison and the Fox Valley, it was an amazing time for the band. Amy began singing lead half of the night sharing the stage with Rich. The band continued to work on originals and released their 4th album in 2001, Please Disturb. This time they hired Jimmy Johnson from Rockford, IL to help produce the album. This album includes 12 original songs. Again it received some air time on the local radio stations from Madison, Fond du Lac and Oshkosh. The band tried to push for a recording contract with no luck. They wrote some amazing songs together and had a really fabulous time, but becoming national was not going to happen unless they moved away and really applied themselves wholeheartedly, and most of them were not up for that challenge. At the end of 2002 Matt decided to give being a rockstar a go! 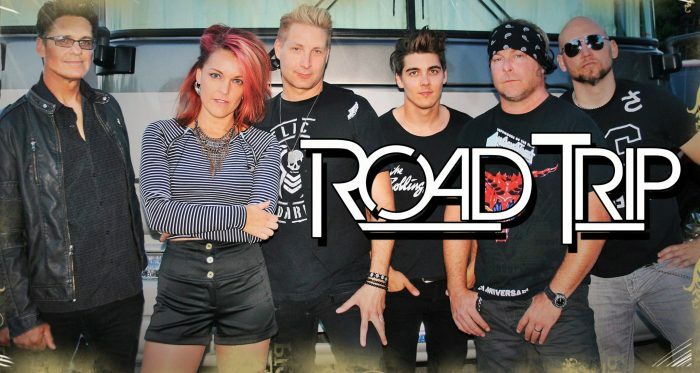 He left the band to move to California and he was replaced by Road Trip’s 4th lead guitarist, Jason Busse from Appleton, WI. 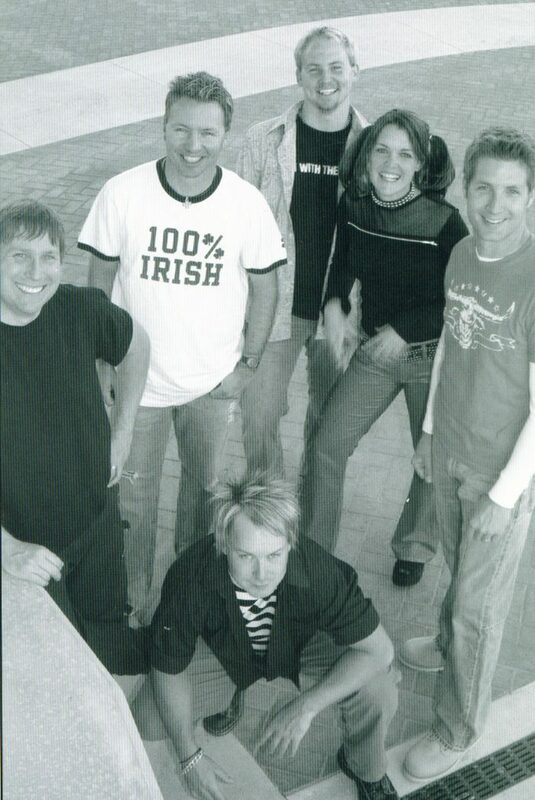 Jason was a perfect fit from the start and continues to be a very big influence on the direction of the band. Jason and DJ have a very similar personality when it comes to leadership and vision. They also are both very tech savvy as well, and it gives them the ability to do some amazing things for the band. In the summer of 2004 Billy Friday was in a car accident and hurt his wrists and soon after he was unable to play drums. The band was very shocked and sad but there was nothing we could do. His pain was too much for him to continue on the road with the band. He had to retire and was replaced by Glen Schroeder, he wasn’t really from Ireland, but we liked to call him Glenny McShroeder, straight off the boat from Ireland! Glen was a hard hitter and a very fun person to be in a band with. Amy had been writing a children’s album during this time and asked her band to join her in recording it. It definitely turned out to be a Road Trip album. 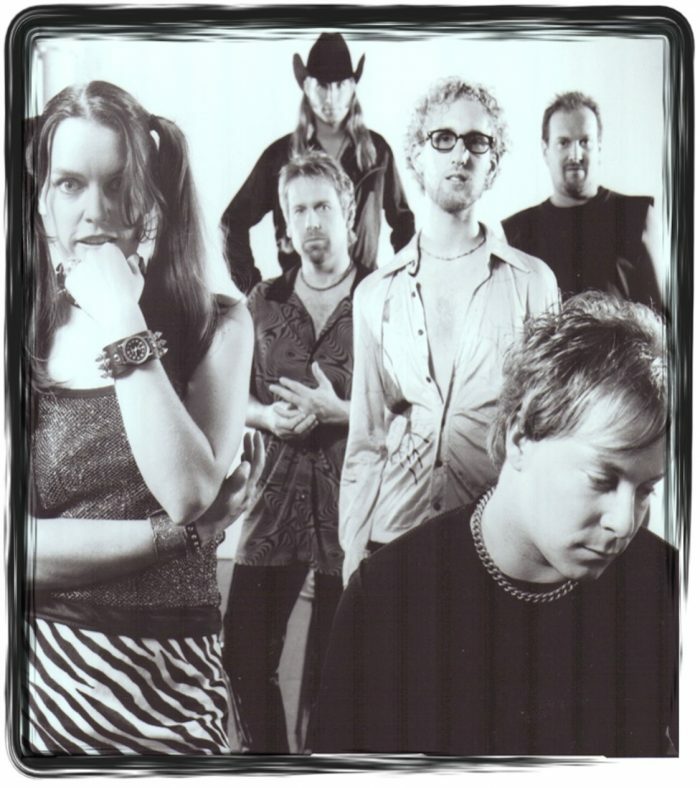 She recorded their 5th album Murry Tracks in the summer of 2005 with Amy, Rich, Billy Friday, Jason Busse and Tina Anderson on vocals, DJ and Jason on guitars, Dave on bass along with Ryan Schiedermayer and Glen Schroeder on drums. This album was a lot of fun for the band and it was great to get so many great musicians on one album. It became a favorite with kids because it had loud guitars and funny lyrics. By the end of 2005 Dave needed to slow his schedule down so he left RT. This was another big loss for the band and they hated to see him leave. Dave was replaced by Robert (Flap) Welsch on bass guitar. Flap became RT’s 4th bass player and he fit in perfectly. His singing and playing are second to none and his personality couldn’t be more perfect for Road Trip. The band focused on doing more shows and creating more of a modern look and started working on making the stage look more interesting. Rich saw Tool in concert and decided the band needed giant TV screens behind them. The question was how to achieve this goal and how much money will this cost. Luckily DJ and Jason had the brains and some great ideas. Finally between Jason and DJ they figured out a way to make Rich’s dream of the TVs come true. It was years of work, but when they came out it was amazing. Jason Busse creates all of the videos you see at a show, and the whole band pitches in a puts the TV’s up and takes them down every night. At last they had a very solid band and a great look with the TVs. 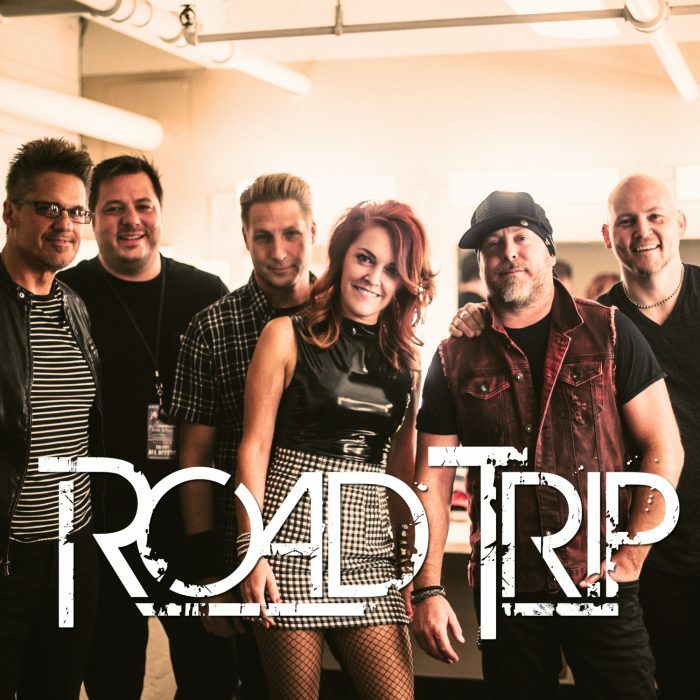 In 2011 a local producer, Marc Golde approached Road Trip and asked them if they would like to help him break in his new live recording gear and create a live album of cover songs. Of course they agreed, but Marc came up with a new idea. Not only did he want them to record a CD but he wanted to create his first documentary of a local band. Over 2 years he worked on getting footage and putting together songs, mixing, mastering and going over each scene many times. Then in 2013 the band released their 6th album Hit The Switch that includes 13 cover songs along with a live DVD and complete documentary of the band. Road Trip threw a big film screening party at Marc’s studio and invited friends, family, radio DJ’s, local movie makers and previous band members. It was amazing and Marc did an outstanding job, everyone loved the documentary, especially the band. In 2014 DJ had an idea to improve the look of the lights, sound and our wardrobes. This took a lot of work and some years as well, but eventually the band all went shopping together along with a fashion consultant. They also hired a coach to help them move on purpose on stage using mirrors to actually see what they look like. They also took a more serious look at song selection and picking songs for a purpose. They started working more with sound and light man to come up with a better way to do things. In December 2016 Andy came to practice and announced his retirement and he was off to explore his talents and opportunities. They were excited for him but Road Trip needed another drummer. After many auditions with some great drummers they hired their 9th drummer, Matt Gieseke in January of 2017. Matt played much harder and louder than they were used to and during one of their first practices they had their first incident with the police telling them to turn it down. In 2017 DJ Doty finally fulfilled his dream and bought a beautiful light show and truck and trailer to haul it along with the TVs. He programmed the lights to move in perfect time with the songs and the videos that Jason created. For the first time in 27 years the band has no light man, they are running with a computer. Road Trip is back to hauling gear and pushing cases, but this time it’s smarter and more efficient. Also it is the first time in their history they do not have a light man at the show, DJ pre programs the lights and he uses a foot switch to start and stop them. They run in perfect time with every song. John Hannitz is Road Trip’s sound man today. He creates a sound that the band loves, it’s loud but not offensive and it makes the audience want to move. October 2018 our very own Richie Plath decided to go on a new adventure and leave RT. He wanted to focus on his window cleaning and spend more time with his daughter and wife. By the beginning of November 2018 we hired a very talented front man from Wisconsin, Christopher Joseph Szebeni. He is fitting in beautifully with Road Trip and is helping us branch out to other areas in the state and beyond! He loves to connect with the crowd and make everyone feel like an equal part of the party. We couldn’t be more happy! The band continues to collaborate and explore fresh ideas every week at band practice. They still love playing music and being on stage performing together. People ask when they will retire, but it ain’t happenin’! !